Back in January, THP held its 2010 Driver Shoot Out with many of the worlds best new drivers that were coming out over the course of the year. When all the smoke cleared, the 2010 Callaway Diablo Edge driver was declared the winner. Throughout the entire event, all of the testers remarked at how much they were enjoying the driver overall and it had us salivating as we wanted more. Once that Shoot Out was complete THP quickly contacted Callaway Golf, because we were eager to try out the rest of the Diablo Edge line of clubs. Upon arrival, our THP testers immediately went to work to find out if the irons and hybrids would live up to the driver that won us all over. The Diablo Edge irons are engineered for distance and accuracy. Designed with a lower, deeper center of gravity, Diablo Edge Irons feature a more accessible sweet spot that is in line with where most amateurs commonly hit the ball on the clubface. The result is longer, consistent distance and improved accuracy. The Solid Impact Sole delivers smooth turf interaction and is designed to mitigate the effects of heavy and thin shots. It also improves the impact location on the face for greater distance. The new product introduction retail price is $599 for a steel-shafted set. The Diablo Edge Irons are also available in combo sets, which feature six irons and two Diablo Edge Hybrids. The combo set with two graphite-shafted hybrids and six steel-shafted irons has a new product introduction retail price of $699. The combo set with two graphite-shafted hybrids and six graphite-shafted irons has a new product introduction retail price of $799. The addition of hybrids to the set greatly benefits players who struggle with hitting their long irons and provides them with greater distance through the entire bag. For the purposes of this review, THP is covering the combo set of 3 & 4 hybrids and 5-PW in irons. The irons have strong, sharp lines that draw you right in. Most will either love or hate the looks, and I am one that really likes the way they look quite a bit. The splashes of deep red sparkle in the sun as the bag is on the course and the tiny little diablo emblems in the cavity add to the depth even more. The sole is slightly thick, but no more than most game improvement (GI) irons and has a large number for identifying purposes on it. The topline of the club matches that of the sole and has a sandblasted type of look to it that works well in keeping the sun from producing blinding light off of the chrome. The hybrids match the set so perfectly it was as if the marriage was there from the beginning. 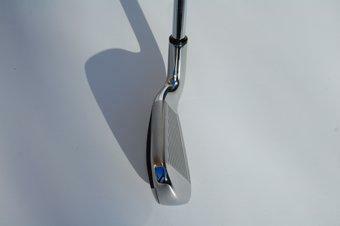 The sole of the club has the same large numbers and sharp lines as the cavity in the iron. It is filled with the deep red color that will make it “pop” in the sun. The crown of the hybrid is two tone, with the face being a different color and coming up on the top of the club. The overall shape is definitely more hybrid than fairway wood and we were glad that they went that way in the design process. Though, it comes down to personal preference of course. The headcover of the hybrid is more old school, than new school and will get polarizing opinions. Im not a huge fan of it overall, but that is more about the style than the look. Overall, myself and the rest of testers really liked the look of the set quite a bit and they begged to be taken to the course. THP was able to gather up 12 testers to try both the hybrids and irons on the range. Each golfer is given a scorecard and asked to “score” the clubs on Looks, Feel, Distance, Accuracy, and Overall. None of these golfers are affiliated with THP or Callaway Golf in anyway. Here are their scores. Looks – 7.5/10 – Overall the players really liked the looks of the clubs. One suggestion that we found we really liked was that the hybrid shaft should have been red. That would have really made the club stand out. No major complaints about the looks of the irons other than a few thought they were “busy” looking. Feel – 7.0/10 – No real complaints about the feel either. A few thought the feel at impact was a little muted in the feedback area compared to that of some other irons, but overall, the feel was well liked. Distance – 10/10 – The golfers were almost astonished at the distances they were achieving with the irons. In some cases a full club more than their normal distances. The hybrids provided left no gap either, meaning that the hybrid/iron set was perfect. Golfers were literally grinning when hitting these clubs and watching them fly. Accuracy – 9/10 – The irons by themselves would have received a full 10 out of 10 because the old saying of “high and straight” is exactly what they were seeing. The hybrids were great as well on the accuracy side, but one of the golfers struggled a touch with hooking them too much. Overall – The testers came away from this set absolutely raving about them. Distance and accuracy is what most want in their clubs and these delivered in so many ways. Positive – The testers absolutely could not get over the distance they were getting out of these. Negative – Almost unanimously the players did not like the stock grips. After watching the range testing take place, I was personally eager to bring these out on the course in my bag. I loaded up the entire set and without ever trying them other than warmups went out to the course. Within the first few holes, I realized that I had a problem. I had to readjust my distances because the testers were right, these are LONG! So long, that I flew over the green on the 1st 5 holes on approach shots even after going down a club. After the first round I did not know if I should be upset with the score I posted, or excited about the prospect of playing the next day…I went with the latter. The next day we played 36 holes and after starting slow again, I really found my groove with these irons. Being able to hit an 8 iron rather than a 7 can make every golfer’s life just a little easier. More than just the distance, what I found was a nice high ball flight that was slightly penetrating and the ball just soar in the air. 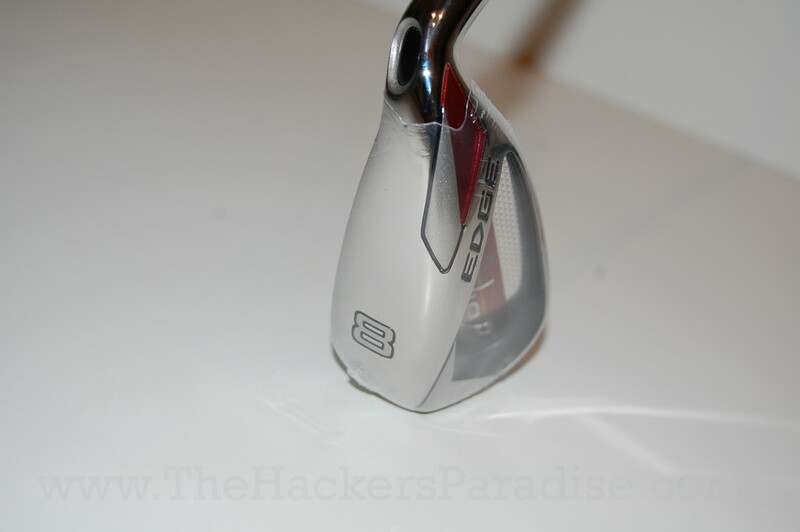 The forgiveness that the Callaway Diablo Edge irons offer is flat out fantastic. When missing the ball off the toe, you notice almost no difference in the ball flight and very little distance loss either. Something we rarely see, and was quite exciting. Another area where the forgiveness really shined was when hitting the ball a little high on the club face. While the feel is slightly muted, the ball had no distance loss it seemed at all. The big question we will find with this iron set is can the ball be “worked” right and left. The short answer is yes, and without much a problem. Like most GI irons, they are built to go high and straight, and the Callaway Diablo Edge irons did that better than most. But playing a cut or a small draw did not seem to be much a problem either. The offset that the irons have, especially in the 5 & 6 iron made it slightly harder to pull off, but in the end, these clubs are built to go straight and they do it well. Similar to the testers, one thing I really liked about the set was the integration and lack of distance gap when using the hybrids. Many times when adding hybrids to a set, you end up with a pretty big distance gap in between where your irons start and your hybrids end. The Diablo Edge set did not have that problem at all, in fact due to the distance I was getting out of the irons, you could in fact drop another one and add a 3rd hybrid if you really struggle with long irons. The hybrids are extremely easy to hit and are ultra forgiving. One little note though, if you struggle with a hook, these hybrids may in fact bring that out every now and then. It definitely feels as though the weighting and offset are geared to keep it straight or help with a fade. After 9 rounds of golf and countless range sessions I have come to some conclusions about this set and most are really good. 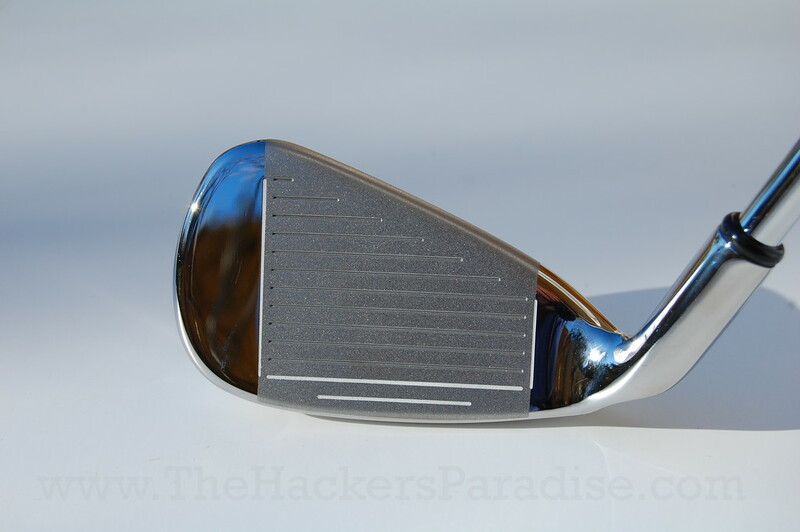 * Flat out one of the longest set of irons I have ever tried and reviewed on THP. * Unreal amount of forgiveness to assist golfers in keeping it straight. * Solid feel and feedback, especially when considering how forgiving they are. * The grips, as the testers pointed out, are not great in my opinion. * Did I mention how great these irons are in the distance category? Callaway has a set in the Diablo Edge that is absolutely fantastic on many levels. Distance and accuracy is what can help drive scoring and if you struggle with either one, this set should be on your short list. The irons offer a good feel for a GI iron and provide flat out amazing forgiveness. The hybrids offer great distance and solid forgiveness as well. After testing these out for the last month, I am thoroughly convinced that this set will help quite a bit of golfers take their game to the next level. For more information on these or any other Callaway Golf products, check out their website at www.callawaygolf.com. 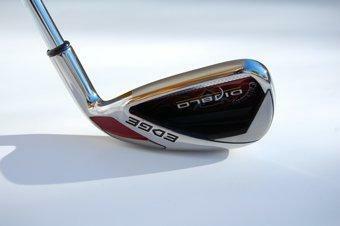 I was at the range about ten days ago for about two hours hitting the diablo edge stainless and TM superlaunch irons. They are very close in performance, but the edge had more feel (suprising for a Callaway). I could work the ball a little with the edge, but the superlaunch wanted to stay straight most of the time. Both had steel shafts and both got the ball up in a hurry. I got a few more yards consistently with the edge. I ended up odering a combo set ofthe Callaway Edge. I recently had replacement surgery on both knees and thought I would get as much help as I could find for my iron game then, as the legs got stronger I would swith back to more of a players club. I played the Edge irons for the first time today and loved em! I may never switch. They are long and feel great. It’s like cheating! I just bought these after trying a number of other brands in the same GI category. I was not at all planning on getting these (hadn’t read this review!) but found that these were the best compromise of distance and forgiveness. Got a set 5,6,7,8,9,S,PW&A Graphite Reg. shafts. love the irons, don’t have the Hybird’s yet.Great review helped me make up my mind. I currently have a steel shafted Mizuno MP-60 Cut Muscle forged set. I usually score from 77 to 83 and I´m looking to upgrade. I´m 58 years old and would like something a bit easyer to hit. The Edge has drawn my attention and I would like your opinion on that. I was wondering how the x-24 hot set compares to the Edges? We are currently reviewing the X-24s right now and our initial feedback is in the forum. The review will be out in the next couple of weeks. I have owned these clubs for about three weeks. And while I do not have a lot of time with them yet, I would like to share my initial impressions. First, these clubs are just silly long. I purchased 2 hybrids and 5-A. I hit the AW about 15 yards further than my previous AW. This increase in distance is constant through the entire set. This allows me to stop worrying about distance and just put a good swing on the ball. I have never been obsessed with distance, but hitting shorter irons into the green is always nice. Second, these clubs are forgiving. Where this really stands out, for me, is with the short irons. I have a tendency to hit some approach shots a little fat. While I am working on fixing the problem, these clubs cover up my mishit. And this is where the club really shines. When I hit an approach shot a little fat, I am still on the green. I know I mishit it, but the club slides through the turf and I am putting instead of blasting out of a bunker. This attribute alone saves me a couple of strokes a round. Third, these clubs are ugly. There is no way around it. But they work so well I just do not care. Fourth, the stock grips are terrible. In humid weather they get really slick. To the point where it is hard to hold onto the club. Do yourself a favor and just get good grips put on the club immediately. I am not too picky about grips. But you can’t have the club sliding around in your hand. If you feel the club slipping in your hand during your swing, you might as well go bury your ball in the woods and save yourself the time. Fifth, if you hit the ball high, you need different shafts. The stock shafts will not suit you at all. Personally, I hit the ball very high, so I talked with my fitter about this problem. We called Calloway and they offered several solutions. We ended up with a set of clubs that fit me very well, and as such, my ball flight is just fine. But the stock shafts would not have worked. Finally, the hybrids have a hook bias. So much so that I have to be very careful when swinging them. I naturally hook the ball, and these clubs are pretty closed at address. So these hybrids are not for everyone. But if you are fighting a slice, they will probably suit you just fine. For example, my brother hits a small fade, and when he hit them, he loved them. In fact, I will probably end up giving them to him and going to something different. To be clear, they are good hybrids, but if you naturally hook the ball, they might not be for you. I really like the clubs, and I bet most other golfers would too. Just be aware that if you hook the ball, or are a high ball hitter, there are some potential problems with these clubs. I am ready to purchase new (or new to me/ladies) irons. They will be Callaways but I can’t decide b/w the x22, x24 or diablos…. Would you pls advise. I am a 15-20 handicapper depending on my iron game which is extremely inconsistent. I have zero confidence over an iron and thus depend hugely on my hybrids…. but nothing feels as good as an iron shot into the green that has been hit well. Just wish I could do it more often. If you prefer the confidence of the hybrids, I would look at some sets that fit that setup. The Callaway Diablo Edge irons do fit that fairly well. Some other sets that you may want to try are the Taylormade Burner SuperLaunch and the Cleveland HB3. While they are not Callaway, both fit what you are looking for and are getting tremendous reviews from our female testers. Our THP Fall Golf Outing & Demo Day coming up in Sept will have just about every iron out there for testing both men and women. It might be something to take a look at. I used my new made to measure (important) Diable Edge for about 3 weeks now. Already getting extra distance and the ball flight is excellent, from a low penetrating shot to high long and straight. As someone previously said, it feels like cheating !!! Just demo’d these today, they are super sweet, I’m just getting back into golf after a 10 year layoff and these clubs are super forgiving. Been playing with some vintage 83 Ping Red Eye 2’s and those guys will be put up for good now. I had a tendacy to slice bad at times but while I demo’d these the pro told me to my only problem was my grip with my left hand, he fixed it, and from that point on I was blasting a 6 iron consistently over 200 yards at the range, it was insane. I was hitting the ball staight on every shot and I had never done this before. I was usually sporadic with my shots but this club put the ball where I wanted it every time. I’m going to give this whole line a try with the driver and the hybrid and see if they continue the excellence of the irons. At the moment I’m looking at a new set of irons. 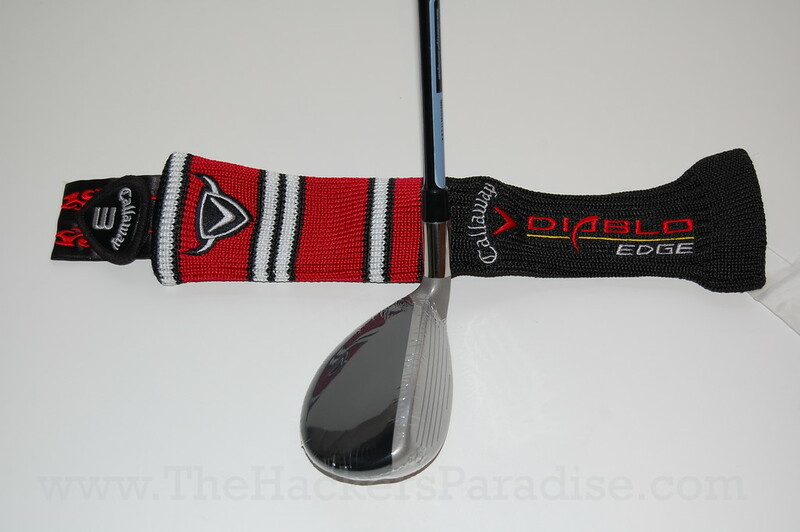 I’m seriously considering buying the Diablo Edge irons or Combo. I’m a 14 handicap and hit my current irons (Taylor Made Tour Burner w graphite shaft) pretty good, straight with a high ball flight, but I miss a bit of feel in them. I don’t know how these Diablo’s compare to my Burners. Do you have any suggestions about what kind of brands / type of irons I should consider other than the Diablo’s (my 6 iron swingspeed is 82 mph, and I would prefer the same ball flight as my current Burners do give me right now). I’m (unfortunately) a high handicapper who struggles to break 100. Had a very basic set of irons that were not so great. Finally went out and bought the Diablo Edge irons (3H, 4H and 5-PW). Oh my. I can’t even believe the difference. Now, I had never swung quality irons before, and maybe any of the newer irons by good companies would similarly improve my game, but I am just shocked. I could never get any height on my irons. Now they pretty much all get airborne, with much better distance. The hybrids are incredible. So easy to hit that even I (a lousy golfer) almost never mishit with them. Honestly, this feels like a different game. Wish I could hit my driver like I hit these babies! 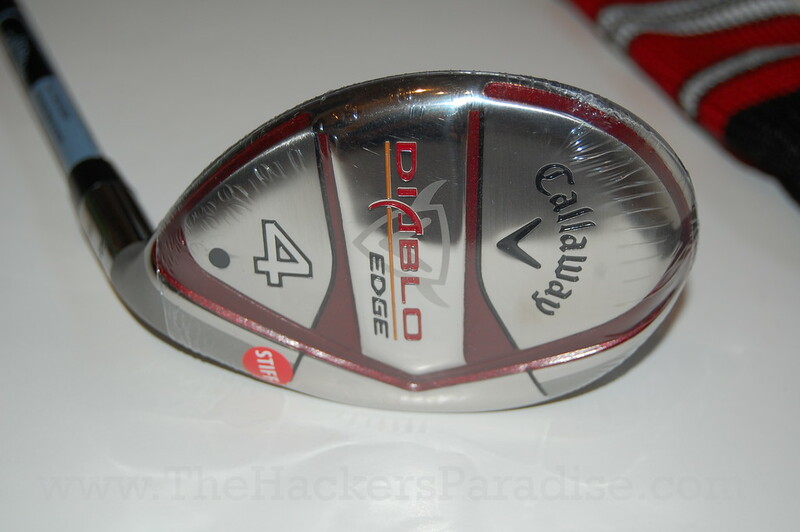 I just bought the Callaway Diablo edges with the 3 and 4 hybrids. The distance is 10 to 15 yards longer with the irons and I love the feel. One little problem is that the 5 irons for me and the 4 hybrid gave me the same result so I traded the 4 for a Callaway FT 2 Hybrid. I’m playing golf since last year and I’m really getting into it. I’ve started with a combo set SQ SumoHybrid Irons and I now want buy a new set as I feel I need to learn the low irons game. I’ve been looking at the more recent Callaway Diablo Edge but as I am a Nike guy I’ve been also looking at the Victory Red Full Cavity as alternative. Any advise? Thanks! Hit as many as you can and then get fitted for your set of irons. Choose the set that works best for you and pay little attention to brand names in trying them. Let the best iron for your game go in the bag. Two weeks ago I purchaced a set of the irons(3-9) and 3 wedges(P,S,A), all with graphite shafts(I got a great great deal) and I have fallen in love. I love the feel of these clubs. A gentle swing and BOOM, the ball is launched! The distance is freaky long and my accuracy is so so much better. Holes on local courses that I used to be intimidated by last month are now fun to play. With these clubs, Golf has gone from a love-hate game to a fun fun way to spend a few hours. I would reccomend them to every other player. I looked at the Edge’s among other Callaway offerings. I guess I just don’t get it. They delofted the clubs so that what used to be a 7 iron loft is now what they are putting on the 8 iron–OF COURSE they will go further. I also don’t get that there is only 1 degree loft separation between the 4hybrid and 5 iron or the 5 hybrid and 6 iron–I can’t see how it would be possible not to have a lot of overlap there with redundant clubs being carried. AND what they did with the 9 iron and wedges—HUGE gaps. The 9 iron is only 40 degrees. If you carry 4 wedges of 48, 52, 56 and 60 degrees–you are going to have a huge gap between hitting 135 yards (9 iron) down to 100 yards (PW). If you buy the 44 degree PW you are just moving the gap closer to the pin–are you going to carry 5 wedges??? Sorry, but the tech specs convinced me this is NOT the set for me. Probably good marketing, but bad golf. Ordered my set today inspite of what Thom says. What kind of name is Thom anyways? What shafts did you go with on the Cally DEs you bought. I have the same problem hitting it very high with the irons. I just purchased the diablo steel shaft 4-aw set. I am getting back in the game also. I noticerd it was almost astonishing how straight and far these hit. I got them on sale for under 400 for the set and its the best iron purchase I’ve ever made. Just bought these and they are great. Much straighter and longer than my Taylor’s. Galaxy Golf had them for $299.99 4-AW. Re the supposed gap between 9i and PW … this is a non-issue. From 9i to PW to AW runs 40, 44, and 49 degrees. I went to a 54 degree SW and 58 degree LW and have had zero issues. Any 20 hcp or better should be able to hit a 75% and 90% wedge. And on the hybrids … I have a roughly 12 yard gap between my 4i and 3h, as long as I’m not really stepping on the hybrid. Again … a non-issue. I’ve been club ho’ing for 20 years off and on and I’ve never, ever hit anything better. It really is like cheating. Perfect for those seasons when you’re not able to get out and practice much. Are these still the longest you have tested? No, with no lofts and technologies, I would have to give that title to the Cleveland Black irons. Thanks for the reply. Do you still rank them pretty high compared to newer offerings? They can had for a song right now while CG Black are still really high. Just picked up the 4-AW set from Carls Golfland on Ebayfor $249 with free shipping. You can’t go wrong with that price on a superior set of name brand golf clubs from Callaway. I currently have a full set of Ping I3’s, and they’ve served me well, but I’ve never owned a set of game improvement irons, so I’m really eager to hit them. The reviews I’ve read throughout the internet are almost all positive on these irons, and if it turns out I don’t like them… at the price that I bought them for, I can give them to one of my family. I just saw a set of Callaway Edge’s at Costco. The set has 7 irons, a driver, 2 fairway woods and a hybrid. My question is, is this the same set of irons? I cannot find a set of Callaway Edge’s just the Callaway Diablo Edge. The set at Costco does not say Diablo on them. Thanks! According to a young woman I spoke to this morning at Callaway’s Customer Service Dept, the Costco Razr Edge clubs are indeed the same as the now discontinued Diablo Edge clubs with some minor cosmetic changes as well as using the newer Razr name. Well after reading all the reviews, i decided to buy thease! I was really pushed in to buying them by the pro in the shop rather than choosing them! How wrong i was to buy them! They are awful irons with every shot i hit was fat! The irons feel heavy, and shorter than my old r7s(taylormade). Im afraid to say there going back to the shop today where i intend to go back to taylormade. A brand i feel i can trust..i play off 17 and expected to gain a nice feel but nope they just dont do it..